Every long session as the budget is being negotiated, judges and other state court employees head down to the legislature to plead their case for more money for the courts. More judges, more staff, more technology – all are needed to keep the judicial system from collapsing under its own weight. But more cuts are what they get, particularly over the past few years, with cuts to the courts now approaching the $100 million mark. The Director of the Administrative Office of the Courts asked for plenty more – enough at least to get the courts back to minimum workload levels. Instead, he got a memo from the new state budget director asking for a two percent reduction. To be fair, that memo was directed to all state agencies, which is how the judiciary is treated for budget purposes. As if getting custody of a child is the same as getting your car inspected. State court systems throughout the country have been hit hard by the recession, but not all have responded with repeated cuts. Some have actually taken the long view, realizing that in the short term money will be tight but that, with some thought and innovation, the courts could actually become more efficient and better at providing access to justice and the timely resolution of disputes. 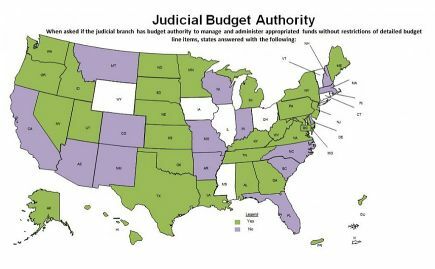 This past fall, the National Center for State Courts surveyed state court systems about how they had handled the budgetary crisis. Forty-five states participated, including North Carolina, which revealed itself to be one of the hardest hit and least nimble in how it had responded to cuts and sought to maintain access to justice. For many states, the recession appeared to have eased somewhat, and most reported small increases in appropriations compared to the previous year. South Carolina, for example, reported a greater than eight percent increase in court appropriations. 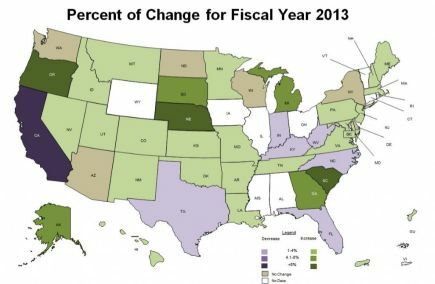 Not so in North Carolina — one of seven states that reported ongoing reductions in the one-to-four percent range. 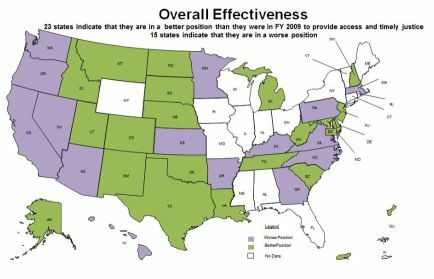 In order to cut costs, North Carolina like most states delayed filling vacancies in clerk’s offices and judicial support staff. It made more system-wide cuts in personnel to make budget, though, putting it in the minority of states reporting a combination of staff layoffs, delays in filling judicial vacancies, and the reduced use of retired judges. Since cuts to judicial systems overwhelmingly involve personnel, the impact on the services provided to the public is direct. 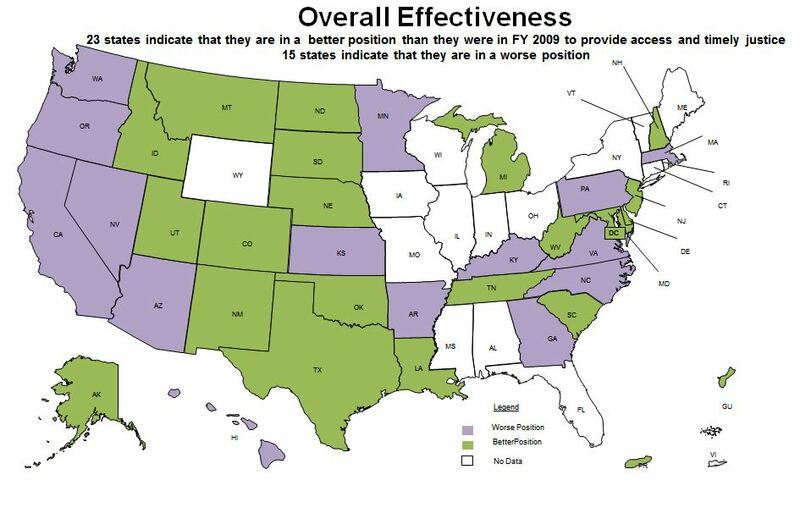 Like half the states, North Carolina reported that its cuts had led to reduced service to the public, limited access to court services and delays and backlogs in case management. 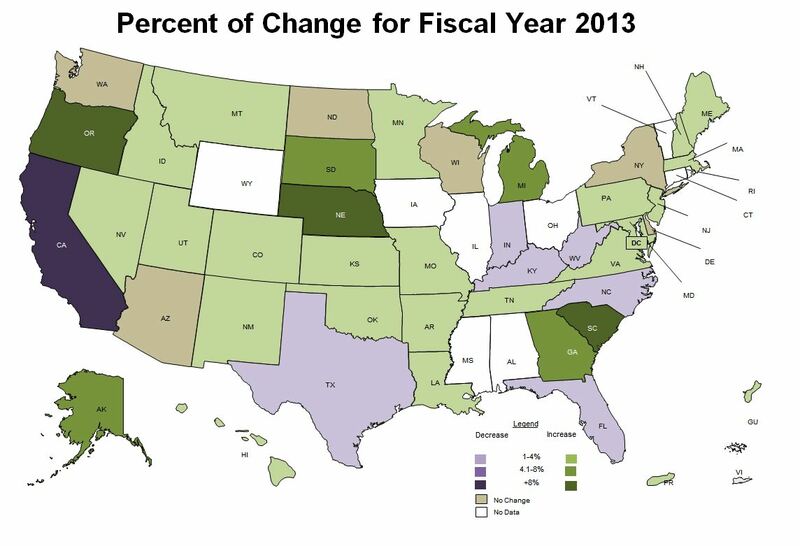 And like most states, it increased court fees to cover costs. 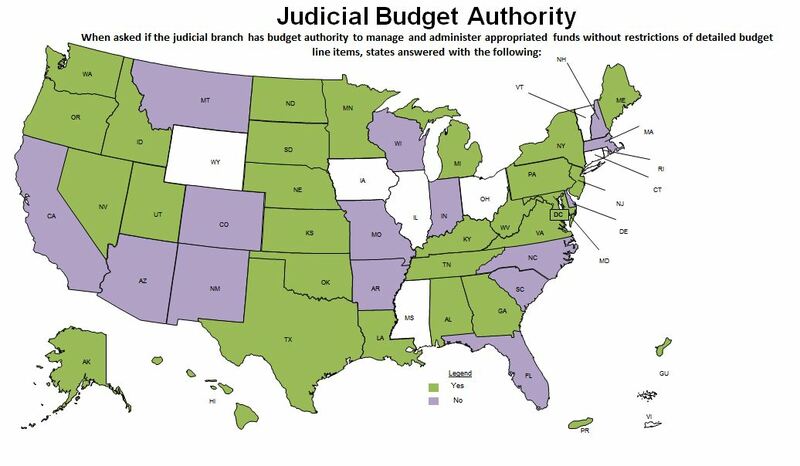 “Having the ability to allocate funds within its own budget gives the judiciary the capacity and flexibility to confront unforeseen circumstances and maximize efficiency,” said the American Bar Association’s Task Force on Preservation of the Judicial System in its 2011 initial report. That task force, led by veteran litigators David Boies and Ted Olson with the help of in-house counsel, private attorneys, judges and government advocates from around the country, said having that flexibility is critical to meeting budgets while at the same time preserving access to the courts and providing timely resolution of disputes. Giving the courts flexibility to manage funds allows them to adapt to needs. Some courts will need more interpreters. Some will need temporary judges (emergency or retired) to cover changing caseloads. One example the task force cites is the reassignment of judges, or use of retired or emergency judges, to meet the mounting foreclosure case numbers in some states. In North Carolina, the courts lack the ability to move money around to adapt to a situation like that. And even if they did, they’d have no emergency judges to turn to, since funding for them has been stripped. And it’s not that the courts haven’t asked for that discretion. “If the legislature’s going to fund, give the money to judicial officials to fund the programs that they think should have priority – not the ones the legislature thinks should have priority” said Durham County Senior Resident Superior Court Judge Orlando Hudson. Every year the Chief Justices say the same thing in their state of the judiciary addresses, Hudson added. And every year, nothing changes. Another critical step in moving state courts out of crisis-mode and into a more nimble and responsive system is for the courts to commit to structural and technological re-engineering, which also calls for their legislative funders to commit resources in the short-term for long-term efficiencies. Not all state court systems approached the recession with a slash-and-burn mentality. Many met their budget challenges by restructuring operations, adopting new business processes, centralizing operations and adding new technology, according to the NCSC survey. Sixty percent report that because of these efforts, they are in a better position than in 2009 to provide access and timely justice. Those efforts included centralizing call and payment centers; implementing case flow management programs; using videoconferencing for arraignments, juvenile detention hearings for juveniles, and for interpreter use; E-filing, Ecitation and payment of fines; and web-based public access to records. North Carolina did not report use of any of such measures aside from e-citation and online payment of fines. Instead, the state was one of 16 that said its 2013 fiscal year budget would not enable the courts to provide for technology necessary to meet the demands of the public. According to the Administrative Office of the Courts, the state courts’ technology budget has been slashed. During the three most recent legislative sessions, reductions of nearly $13 million have been taken from the technology budget, an overall reduction of approximately 28 percent. And 79 technology positions have been eliminated. Compare that to New Hampshire, for example, where the courts underwent a complete restructuring in 2011 and began using a centralized call center which freed up staff to attend t other tasks. “The New Hampshire court system was dramatically restructured in July 2011, merging its three busiest jurisdictions—the district and probate courts and the family division—into a single circuit court that now handles more than 80 percent of the court system’s entire caseload,” said Laura Kiernan, Communications Director for the state’s judicial system. Use of the call center is expected to save $266,000 a year in payroll costs, Kiernan added, more than paying for the $137,500 it cost the state to get the system up and running. And staff productivity is expected to rise by 14 percent or more as employees have the time to attend to tasks other than answering the phones. Or Utah, where the courts are moving towards a completely paperless system. As part of that transition, courts there have automated the process of obtaining transcripts of court proceedings, often needed at the trial and appellate level – a move that State Court Administrator Daniel J. Becker says has produced dramatic results. The state had moved towards using digital recordings for most proceedings, as court reporter positions were eliminated. One person now handles the processing of transcript requests and coordinates with private transcribers on a state-approved roster. Similar reforms have occurred in Vermont, Minnesota, Oregon, Delaware and elsewhere. But not here, in a state that prides itself on being among the leaders in technology and innovation. Here, it’s still Groundhog Day for the courts.